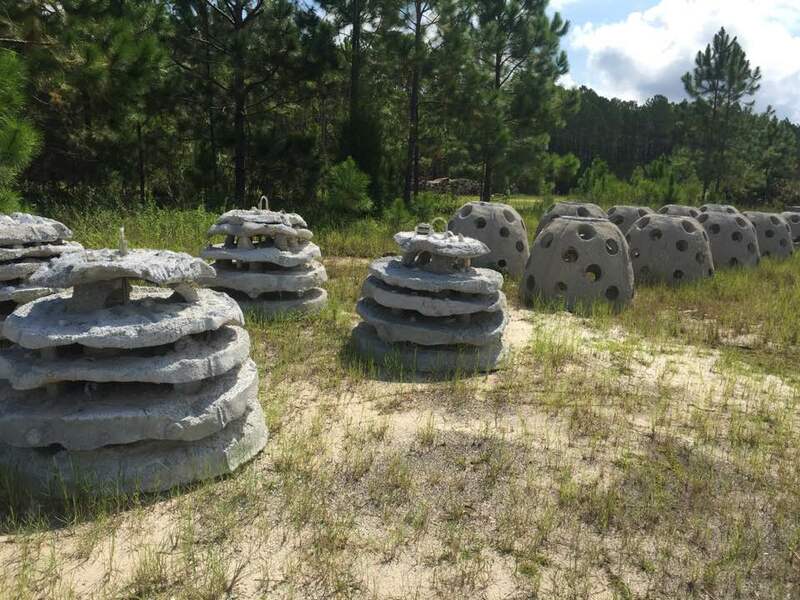 In July of 2015, South Walton Invested in Local Marine life and became the home of what would become a brand new underwater ecosystem for local wildlife: an artificial reef. 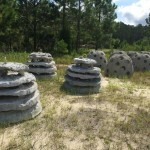 The group responsible for the deployment of the reef is the South Walton Artificial Reef Association(SWARA), which identifies itself as a grass-roots, non-profit 501(c)3 organization. 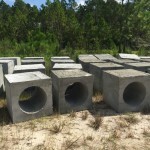 They have dedicated themselves to the construction, deployment, and monitoring of permitted artificial reefs in Walton County’s Gulf of Mexico coastal waters. These reefs will be a huge benefit to the health of our environment and community by creating a habitat for marine life that has never existed this close to shore. In total, the plan drafted by the founder of SWARA, Andy McAlexander, includes 18 reefs to be installed near the shore. In detail, the plan lists nine fish habitat and skin diving reefs, five oyster habitat restoration sites in the Choctawhatchee Bay, and four snorkeling reefs near the coastal sandbars. Currently, Walton County is last in the state to implement the deployment of artificial reefs however, SWARA hopes to change that with the launch of the additional reefs in Miramar Beach, Topsail Hill, and Inlet Beach to benefit the economy through increased ecotourism. 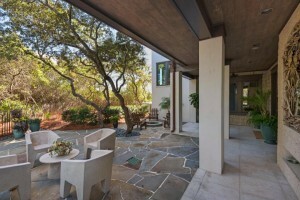 SWARA also hopes to help the South Walton community form a closer connection with the environment through awareness of the unique natural resources found locally. 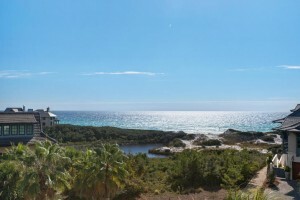 With the introduction of a reef ecosystem, visitors and locals of South Walton will be able to snorkel and SCUBA dive directly offshore. This will offer the unique opportunity to view various marine wildlife up close and should increase ecotourism and help make long-term positive contributions to the local community. The environment benefits greatly from artificial reefs, as they provide a habitat for fish and oysters on the area’s vast, flat seafloor. Creating a habitat for oysters in the Gulf is an extension of another one of SWARA’s future long term goals: restoring the oyster population in the Choctawhatchee Bay. To learn more about SWARA and for information on how you can contribute to the funding of South Walton’s artificial reefs, visit www.waltonreefs.org. 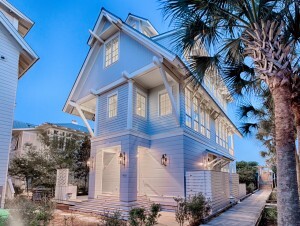 There’s more that makes a beach house than simply being near the beach. 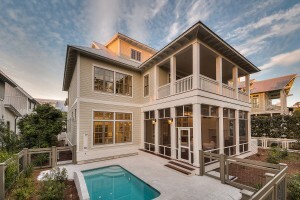 The best beach houses bring the relaxing feeling of the beach to your front door, making your beach house the perfect place to unwind. The question is: How do you create the perfect beach house? 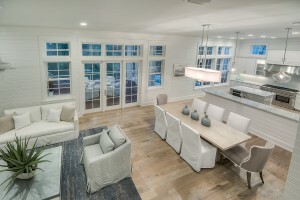 Cool tones such as soft grey, light blue, seafoam green, and sandy beige paired with crisp, clean white bring a feeling a calm to the living space similar to sitting on the beach soaking in your surroundings. 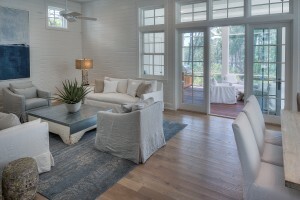 Go with a stark white ceiling and trim to obtain a bright and airy feeling in the space. 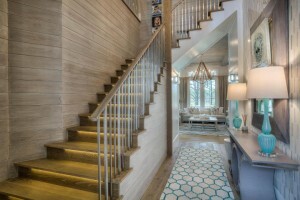 Shiplap walls are typically created with pine wood that often looks distressed. 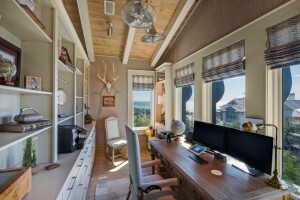 When installed in a natural wood tone, shiplap walls can bring an earthy driftwood look into your home. For a brighter, fresh look, paint the wood white instead; you’ll still have the texture and look of the shiplap walls without the varying tones of wood. 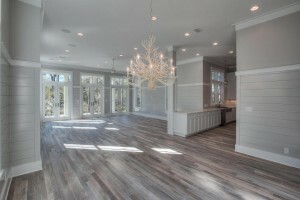 Hardwood flooring in lighter, distressed tones are perfect for recreating your memories of the boardwalk down to the beach. As far as practicality is concerned, cleaning sand up on hardwood floor is much easier than attempting to remove it from carpet. 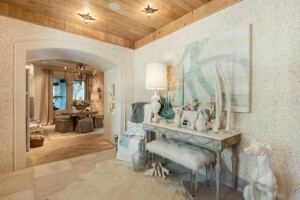 Shells, sand dollars, and pieces of driftwood or dry coral are excellent ways to bring pieces of the beach into your home. Use pieces you find yourself on daily walks on the beach to add a personal memory to your accessories. Instead of laying the smaller items around loosely, try arranging them in a glass bowl or jar to create a touch of art! 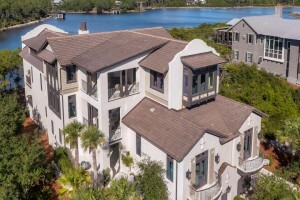 Installing a pool isn’t possible for every beach home, but if you’re considering adding a pool to your beach home, saltwater is the way to go. A saltwater pool allows you to enjoy the fresh, light feel of saltwater on your skin on days where a day spent on the beach isn’t on your schedule. 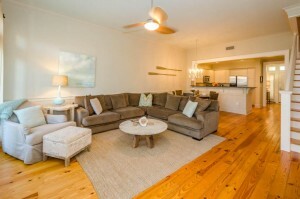 Keep the color of your sofa and chairs furnished in lighter colors such as soft beige, sand, or white to keep the feeling of the room light and easy on the eyes. Bed linens in plush whites create a mellow, relaxing retreat after a day at the beach. To add a subtle pop of color to the room, accessorize your furniture with patterned or solid throw pillows in complimentary colors. 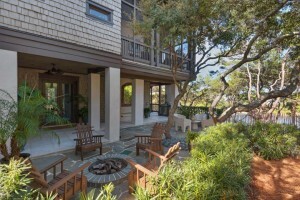 Much like the beach, the perfect beach house is drenched in natural sunlight. 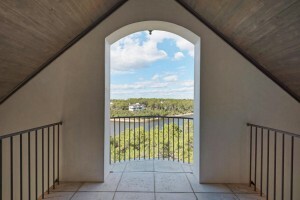 French doors are a great way to let in copious amounts of light and create a connection between your outdoor seating area and your living room. 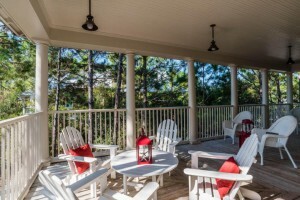 The best way to enjoy the evening after a long day at the beach is by relaxing outside on your covered porch, soaking in the sunset and fresh air. Bonus: Screen in your porch for warm summer evenings minus the bugs. 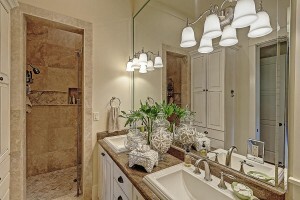 All homes featured in this blog are currently available for purchase. 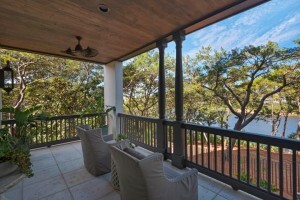 Summer is without a doubt one of the best seasons to experience South Walton’s natural beauty. The weather is warm, the water is a beautiful shade of emerald, the local entertainment is picking up with free outdoor concerts, and the sunsets are absolutely breathtaking during this time of year. However, with all of the summer season’s beauty comes a few safety concerns and pests that are important to be aware of during your vacation on 30A. Do not fight the current. Remain calm and swim parallel to shore until you are no longer in the rip current. 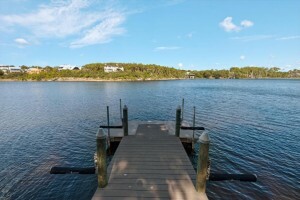 Then, swim back to shore at an angle at a comfortable pace. If you are unable to swim parallel to the shore to free yourself from the current, remain calm and float or tread water until the current weakens. If you are able to, call out for help or bring attention to yourself by waving towards shore. Look for a channel of churning water that may appear as choppy. Look for an area of water where the color is different. Look to see if seaweed or foam is moving steadily away from shore. Look for a break in the waves. 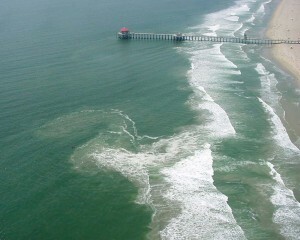 If you think you have spotted a rip current, do not swim in that area of the water. If you see others swimming in the vicinity of a rip current, warn them of the dangers if possible. Most importantly, if the flag near the beach access is red, do not get in the water. While the warmer months of the year bring beautiful weather to enjoy outside, they also bring pests that enjoy the warm temperatures. Yellow flies are a species of biting fly that typically appear from May to early July. The flies congregate in shaded areas in humid climates near water or woodlands and typically avoid open, sunny areas. 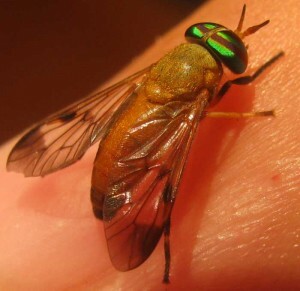 While some species of yellow fly are particularly active in the morning, others are more prevalent in the early evening around dusk. Where adequate amounts of clothing to protect your skin if you are going to be in an area where yellow flies are prevalent. Use bug repellent to protect exposed areas of skin. Hang a “sticky black ball” trap in a shaded area around your home. To make your own ball, spray paint a beach ball or milk jug black and attach it to a string. Then, cover the ball in a sticky substance called Tangle-Trap. Yellow flies are drawn to the ball due to movement and become stuck to it upon landing. Apply a small amount of vinegar to the bite. Additional treatment methods include Preparation H with aloe, cortisone cream, and Witchazel. South Walton is home to various species of snakes, both nonvenomous and venomous, that are active most in late spring and summer. While not all snakes are dangerous, it is important to be able to identify venomous snakes and where they can be found. 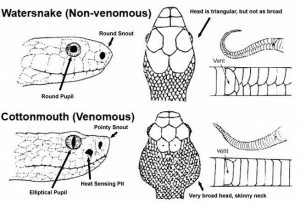 Venomous & Nonvenomous: What’s the Difference? 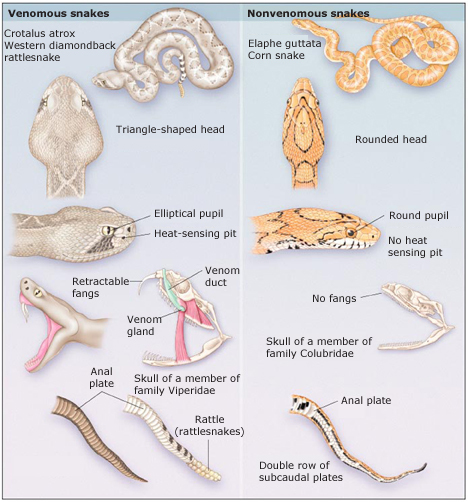 Most venomous snakes (Pictured Bottom) have a broad triangular shaped head, an elliptical pupil, a heat sensing pit, fangs, and a pointed snout. Venomous snakes may also hiss, or rattle their tails in the case of a rattlesnake, and adopt a defensive position as opposed to fleeing the area. Nonvenomous snakes (Pictured Top) have a narrow head with a round snout, a thin body and a round pupil. They have teeth, but do not have fangs. Nonvenomous snakes typically move away from the area quickly if you stumble upon them. The exception to this description of nonvenomous snakes is the Coral Snake. 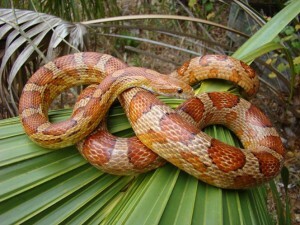 Northwest Florida is home to the following venomous snakes: Eastern Diamond-backed Rattlesnake, Pygmy Rattlesnake, Timber Rattlesnake, Copperhead, Cottonmouth or Water Moccasin, and Coral Snake. When exploring wooded areas or lakes, creeks and rivers, it’s important to be aware of your surroundings, to listen for hisses, rustling, or rattling, and to watch your step. In the case you stumble upon a venomous snake, calmly move away from the animal as quickly as possible. Do not poke, prod, or attempt to handle a venomous snake. If you are bitten by a venomous snake, remain calm and seek help via emergency personnel or call 911 immediately. 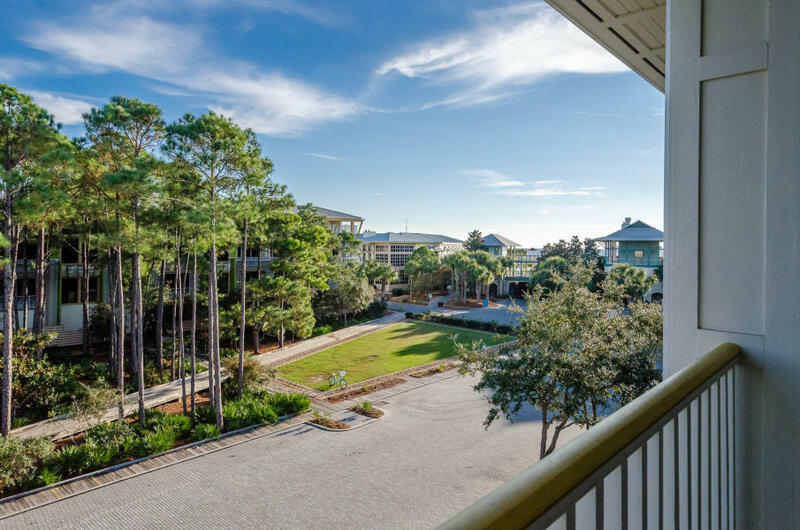 We hope you enjoy your time in South Walton and that the information we’ve provided allows you to have a fun and safe summer on the Emerald Coast! 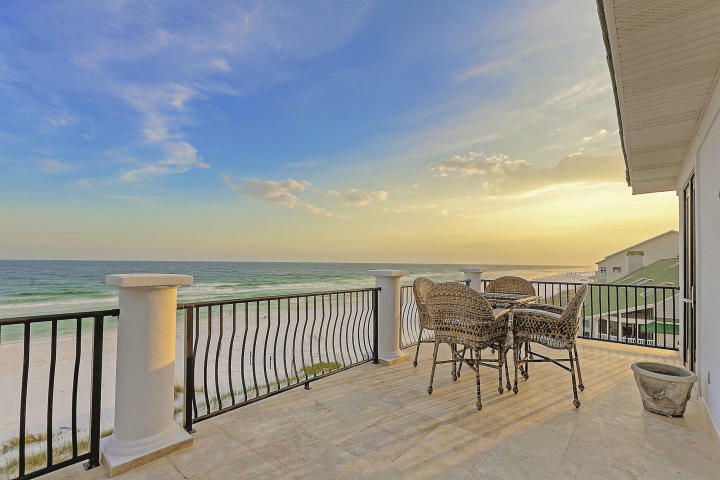 This exquisite Gulf front home was recently reconstructed and remodeled, offering a rare opportunity to own a brand new home on the beach in WaterColor. 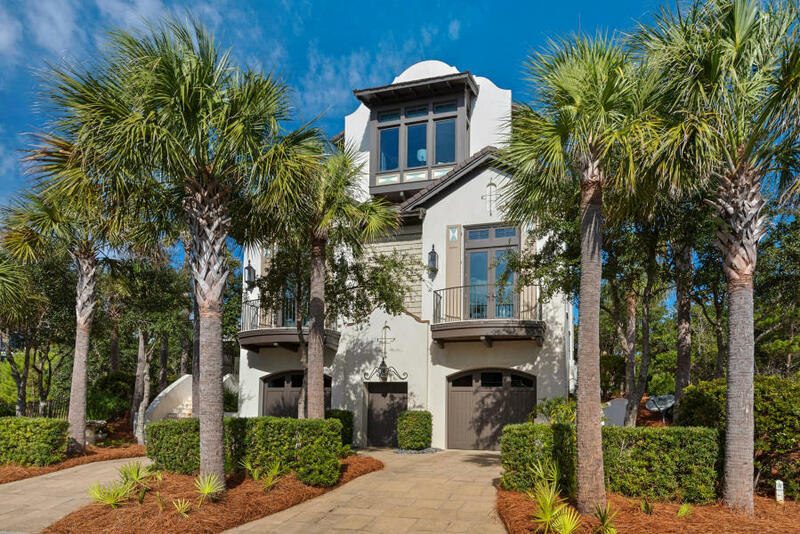 With stunning architectural detail, Venetian walls, pecky cypress ceilings, and beautiful hardwood flooring, this home perfectly embodies coastal luxury.